SCHEDULE YOUR NEXT MAINTENANCE APPOINTMENT WITH THE TEAM AT BMW of West St Louis. BMW has a reputation for producing vehicles that boast innovative engineering, alluring exterior and interior designs and advanced technology. Don’t you want to keep your BMW that way? Of course you do. To ensure that your BMW is equipped for longevity it’s absolutely essential to keep up with routine maintenance like certified BMW oil changes. Are you looking for a service center that can help boost your vehicle’s performance and preserve its look? 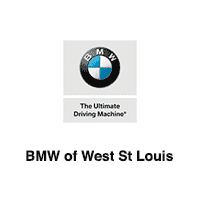 At BMW of West St Louis we have an onsite service center with the right tools and staff that can help. Our service center employs a team of certified BMW technicians that boast the knowledge and expertise needed to keep your BMW looking and feeling like it just came off the assembly line. Whether your BMW is in need of an oil change, inspection, major replacement, or another necessary service, we can provide you with swift, honest and first-class service the first time. In addition to our host of services, we also keep an extensive inventory of genuine OEM BMW parts and accessories onsite to ensure that your model has everything it needs to get you back on the road that much faster. Are you ready to see what the service team at BMW of West St Louis can do for you? To schedule a service, use the online scheduling tool found on this page. If you would rather speak to a member of our staff, you can contact our team by calling 314-487-4004. Or, come see us in person at our 14417 Manchester Rd. location. Not located in Manchester? Fortunately, we’re in close proximity to St. Louis, Wildwood and Chesterfield. Please don't hesitate to direct your service questions to us! Do not use this form to schedule service appointments. Please use the link here.